Wild lions laze in the grass while hippos chill patiently in muddy watering holes. Elephants trek across vast plains and zebra and antelopes mingle in enormous numbers. Beneath a vast and pale blue sky, the African landscape comes alive with the biggest wildlife in the world. It’s a dream for thousands of people – to experience the beauty and surreal nature that can only be found on an African safari. It used to be considered a once-in-a-lifetime opportunity, but these days it is getting easier and easier to enjoy a safari, especially in South Africa. 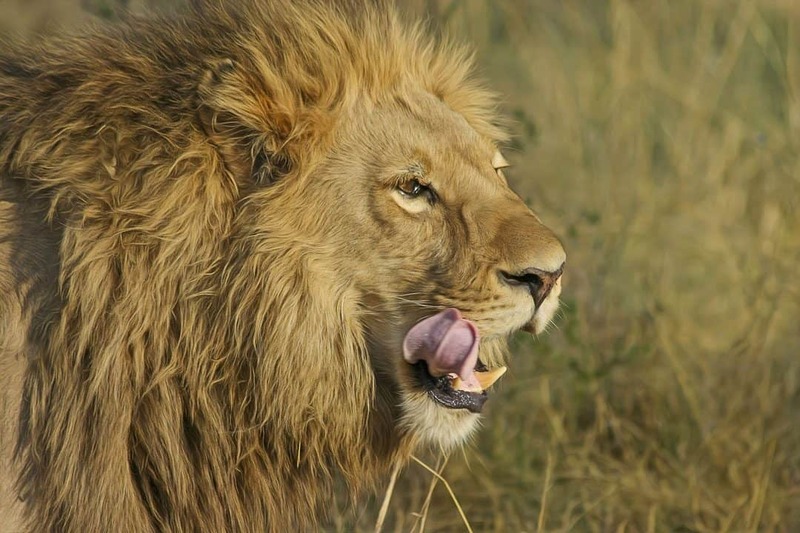 South Africa is home to the “Big 5” – lions, African elephants, Cape buffalo, African leopards, and rhinoceros – and the best way to meet these phenomenal animals is to go on safari. There are tonnes of different ways to do a safari in South Africa, for people of all ages, budgets and styles. In order to make your decisions easier we’ve put together this small guide on how to experience the magic of a South African safari. There are over 40 safari parks in South Africa, and they range in size from being immense like Kruger National Park to being small privately-run reserves. It can be quite overwhelming trying to decide which ones to go to, and honestly if your schedule and budget allows you should try to go to all of them. But if you are like most of us you’ll have to narrow down your choices. Here are the top 3 safari parks in South Africa. Kruger National Park is by far the most popular safari park in South Africa, and one of the largest on the entire continent. Originally founded in 1898 as the Sabie Game Reserve and eventually being renamed Kruger National Park in 1927, this protected property is almost 20’000 square kilometres of pristine wilderness. Naturally being home to the Big 5 is what brings the majority of tourists here, but it’s also the high level of quality infrastructure which makes it so popular. There are a whole range of different ways to enjoy this spectacular reserve, from self-drive safaris to guided tours, camping trips and even hot air ballooning. Holding the esteemed reputation of being the oldest safari park in all of Africa, Hluhluwe–iMfolozi is located just north of Durban. The 960km² reserve isn’t the largest safari in the region, but that doesn’t stop thousands of visitors checking it out every year. 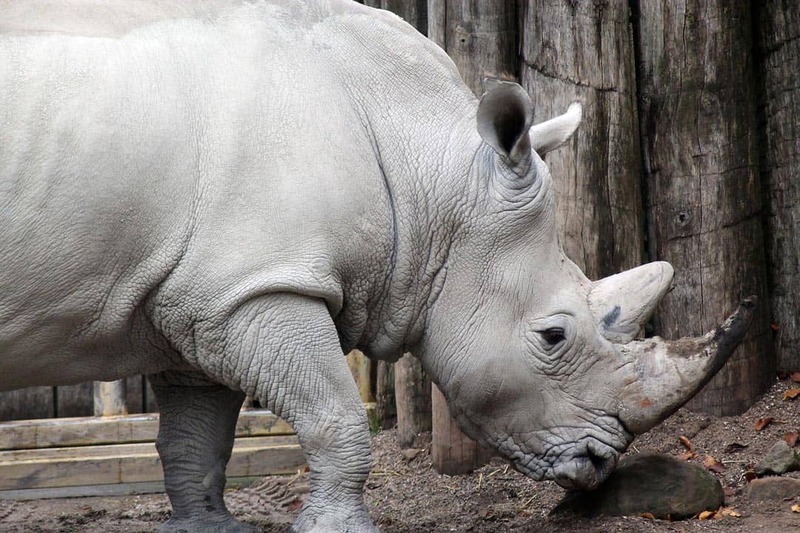 Besides having some excellent examples of ancient stone-age settlements scattered amongst the park, it is also the home to the largest population of white rhinos in the entire world. Hluhluwe–iMfolozi really is a great example of when dedicated conservation projects succeed in spectacular fashion. Being South Africa’s most accessible safari definitely hasn’t hurt the appeal and popularity of Pilanesberg National Park. Attached to the famous Sun City Resort complex only 3 hours from the capital Johannesburg, the entire park is actually found on an old volcanic crater providing a huge diversity of flora and fauna in its mineral-rich landscape. Besides the Big 5 visitors can also see an outstanding variety of bird life. And if you’re into rhinos, no trip to Pilanesberg is complete without experiencing their rhino tracking program, where you get to join park rangers and field guides on monitoring missions. People hoping to experience a South African safari have two choices on how best to enjoy it – Join a group tour or do it independently. Both options are amazing and offer a variety of different elements to consider. For those that love doing things on their own then renting a car and doing a self-drive safari is probably the best choice. If you go down this route you can choose to camp in designated areas that are protected and monitored by rangers, or to stay in lodges. If you join a group tour the cost will be higher, but all the logistics will be taken care of. Transport, accommodation, food and sometimes even drinks are all part of the package and you get the benefit of having an experienced guide accompany you. Both independent travel and group tours are brilliant ways to do a safari in South Africa. If you do go on your own just make sure you pay attention to all the rules that can be found around the parks, such as not leaving your car! How Much Does A South African Safari Cost? Due to the nature of conservation and excellent infrastructure that goes into these safaris, the costs are usually quite high. But when you take into consideration what you get to experience – incredible animal encounters in gorgeous, remote landscapes – the value is worth it. 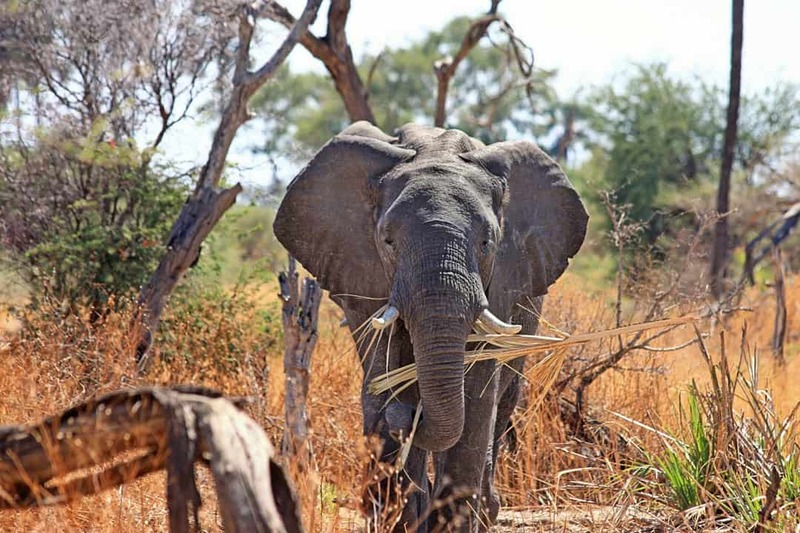 In Kruger National Park it is possible to find campgrounds for as low as $20 per person, per night, or if you want to splurge out you can rent luxury lodges for over $1000 a night. Entrance to these safari parks are around $20 per day. If you want to go on a group tour you can expect prices to start from $150 per person, per day. If you are looking for something more high-end you can easily be spending $500 – $1000 a day. A few of the other safari parks in South Africa are a little bit cheaper than Kruger, but not by much. For the independent travellers: Considering the cost of self-catering for food, camping, fees and transport, expect to budget around $100 per person, per day. This might sound expensive, but we’ve always believed it is worth spending money on experiences rather than things. And the chance to catch a glimpse of your first lion, elephant, leopard, rhino or buffalo in the wild is something you will never forget. 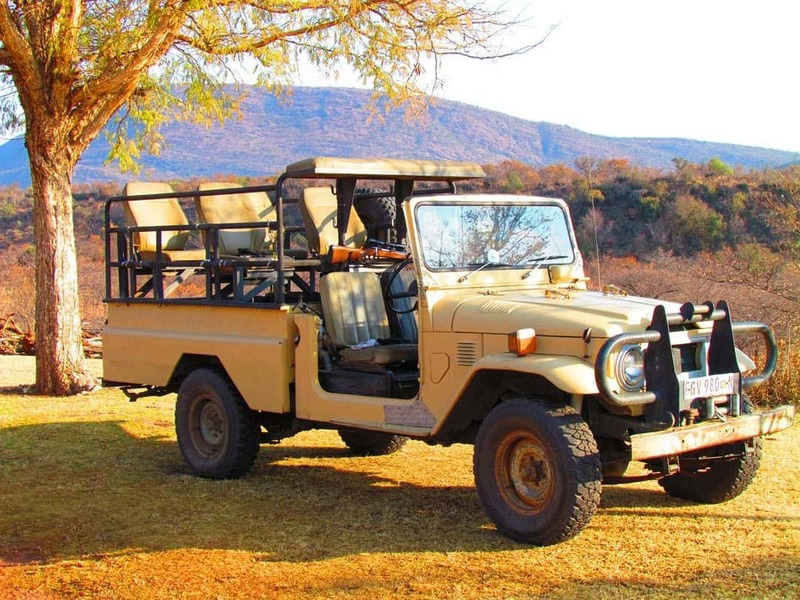 Pilanesberg is a great place for a safari, and it makes for a reasonably cheap day out from Johannesburg if you drive yourself. I went a couple of times last year when I was working in South Africa. The wildlife isn’t as plentiful as in other safari destinations that I’ve been to but I still got some great shots of giraffe and zebra. For anyone thinking of going, it’s worth hiring a car and driving yourself, especially if you’re on a budget. It’s easy to drive around the park and you’re given a map when you enter. As we passed people driving around the dirt roads, it became a routine of stopping to chat about any wildlife we’d seen and where it was, so you don’t necessarily need to go on a paid game drive. You also don’t need a 4wd, I hired a tiny fiat and managed fine. I’m off to Joburg again later this year and really hoping to get out to Kruger, thanks for mentioning a daily recommended budget, really helpful. Enjoy the Cook Islands. I love how you state it in your profile that you travel 365 days a year, Africa is indeed a blessed continent and many take time to visit this continent just to be surrounded by vastness and let them find themselves. Yes South Africa is home to the big five wild animals and these are found in other African countries too like Uganda and Rwanda. And by the way the best way to get close to these species is by undertaking a game drive along with a professional driver guide. South Africa is a stunning country. We would love to explore Uganda and Rwanda one day.